Discover emerging talent and push boundaries of electronic music with Conjured Music. Conjured Records was created with the artist in mind, as an avenue for their true expressions. Founded by Clint Calleja and Laren Agius, aka ClintC and Lar3n, their vision from the beginning has been to expose cutting edge electronic music from up & coming artists, especially those who aren’t afraid to push boundaries. The philosophy behind Conjured Records can be heard in the music of ClintC and Lar3n, their choices reflecting their innate desire to share the exceptional. With a passion for harmonies combined with analogue synth and techno driven drum kits, ClintC has been mixing as part of Diplomatic Brothers, while producing his own releases and working as a professional audio engineer. Lar3n’s emotional and fine progressive sound, intermixed with elements of minimal, techno, and breaks, has earned him a reputation among the clubs of Malta, while his effort in the studio and in running Conjured Records solidifies his place in the industry. 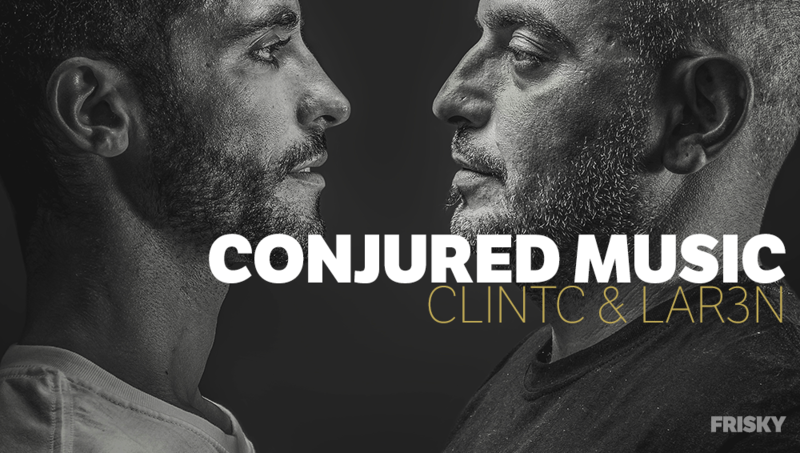 Together they introduce Conjured Music – a new show on FRISKY that will feature their own mixes, as well as guest mixes from their roster of up & coming artists to look out for. How did the idea of Conjured Records first begin? We have been friends for over 10 years and during one particular whiskey evening, in 2016, the thought of creating our own music record label got triggered. Both of us being artists ourselves, we had common feelings that to some labels we are just a number and we did not really know what is happening to our track/EP once it gets released. So instead of sitting angrily in our garage studio, we’ve decided to make it different by proving that music isn’t just a commercial money making machine but an art. And those who create it should be appreciated and rewarded. And so the journey began! I love that your main focus is on exposing emerging talent that pushes the boundaries of electronic music. How does this mission influence your work as a label? This mission helps us to stay on top of our game. We receive a lot of demos and this makes it easier to get carried away, however, we always focus on the quality rather than quantity. When we assess a track, we always perform an analysis to pinpoint the key musical elements that make it stand out and has the opportunity to be remixed in the future. On top of this, we always stay on the lookout for the best tools which can help us achieve a better result, whilst allowing us to be as transparent as possible with the artist. The artist is always at the core of what we do and in the end and all we do is to keep our small circle of like-minded individuals working comfortably knowing that the label is actually there to support them in their journey. What is your process for discovering or choosing talent that fits with the Conjured Records vision? Do you always agree? Well, it does not always have to be an agreement in reality, if one of us strongly believes in a tune and the artist, the other respects it. Part of the fun in the music world is that there are lots of styles and flavours and in a way, there is no scale for good or bad. In the end, it’s a free form of expression and this is what we embrace. The basic guideline for Conjured Records brand is to select electronic dance tunes which try to defy the creative boundaries. Sometimes with the deepest regret, we had to reject an awesome track or EP because it falls in a genre that we currently don’t market for. If we do not believe we can help an artist deliver his track to a proper target audience than it is not respectful of their art to take it just for the sake of saying yes. What do you love most about electronic music? Through the evolution of music through the ages, music is an art form to deliver the expression of the artist. What fascinates us about electronic music is that it give us the opportunity to take that expression beyond our imagination. There is no real boundaries with electronic music and genres are just labels to help categorise music in stores. We also love today’s flexibility that comes with most DAWs, an easy way where analogue and digital can meet and become one. Today’s world makes it even simple to collaborate. We do not necessarily need to fly over to work with someone, and this is something we want to help promote more at Conjured Records. 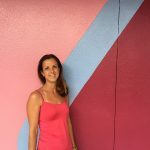 Obviously, all this comes with an assumption of having a good computer literate background since it is essential and not always obvious. What can we expect to hear on the Conjured Records show on FRISKY? For the first hour of the show, you can expect to hear the latest sounds that inspire ClintC & Lar3n on behalf of Conjured Records. We will showcase tracks from various artists and even labels that help us to continue to strengthen the sound Conjured Records like to be associated with. For the second hour, we will hand over to one of our label artists where they will have the opportunity to showcase their sounds and take us on a musical journey based on their taste, a taste Conjured Records believes in.